Congratulations to Rhiannon Clarke (Mater Dei College) for winning the Ambulant Open Women’s 400m at the National Track and Field Championships. 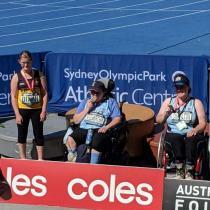 The time of 66.38 is another qualifying time for Rhiannon for the World Championships in Doha later this year. Well done, Rhiannon. 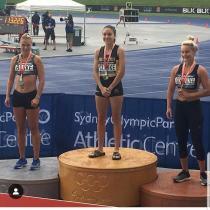 Another top effort from Layne Dixon (Emmanuel Catholic College) winning a silver medal at the National Track and Field Championships in the Open Women’s Discus Throw with a throw of 6.35m. We look forward to seeing these young ladies compete for their schools at the ACC Athletics Canrivals in Term 3.